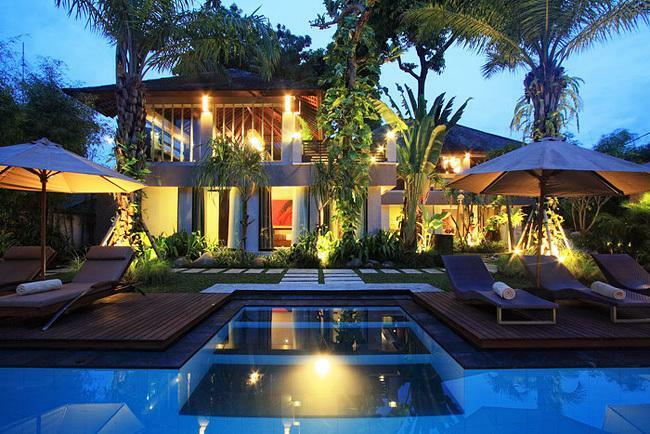 Villa 3225 in the heart of the fashionable Seminyak district is a unique property of stylish tropical design. 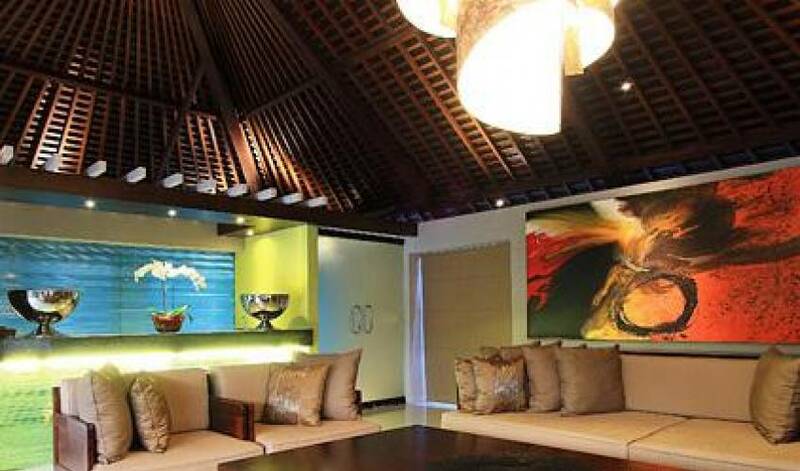 Adorned with modern contemporary art and carefully chosen art pieces which blend effortlessly into the villas carefully planned décor. 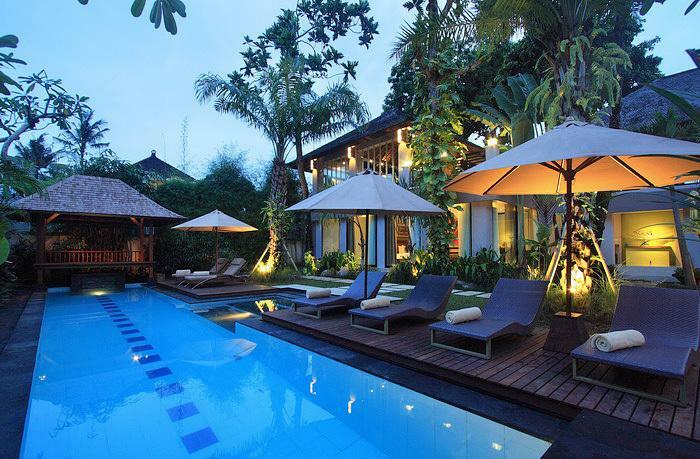 Surrounded by lush gardens and a refreshing pool, Villa 3225 can be anything you want from retreat or an entertaining space. 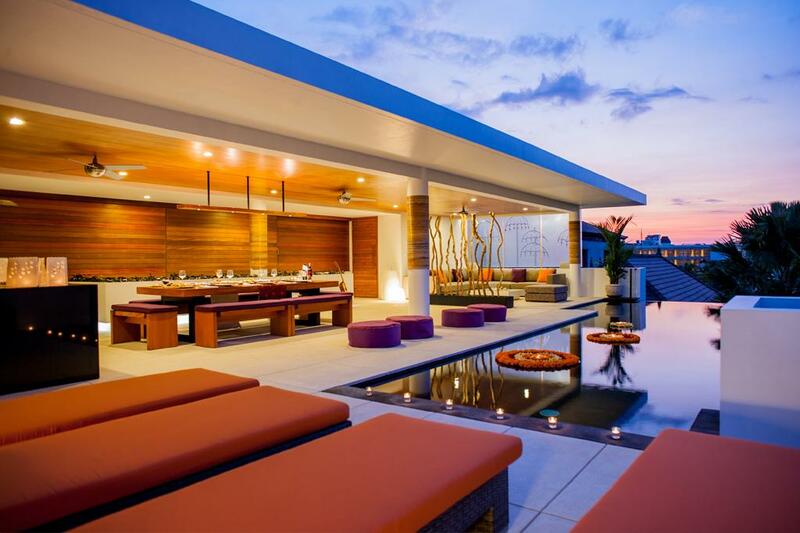 Featuring large oversized rooms allowing one to spread out and relax, to entertain or just laze about. 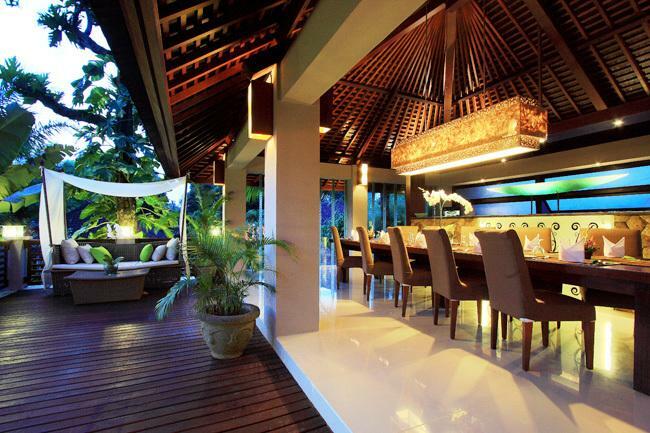 This superb architecturally designed villa, for the first time is now available for short term holiday rentals. 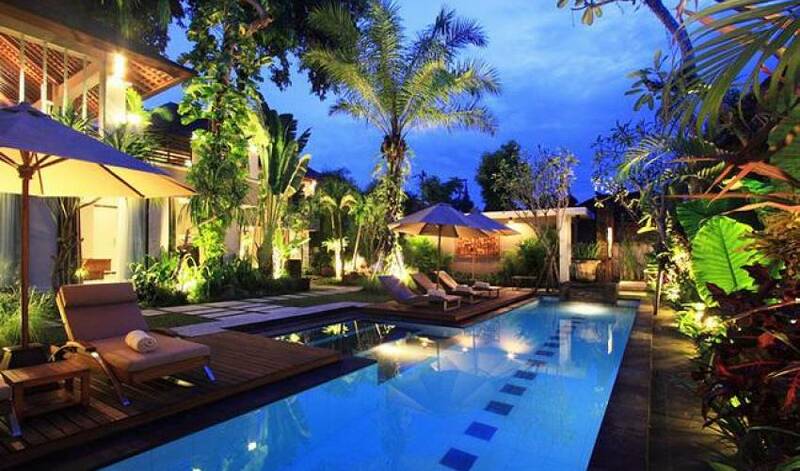 Located in Jalan Drupadi, the leafy side street behind the bustling vibrant Seminyak district, and just minutes from beach, delicatessen, cafés & shopping boutiques which have made this small village so famous. 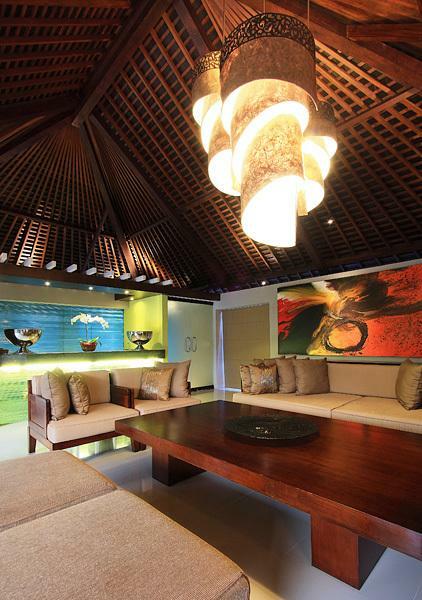 Villa 3225 is tucked away in a quiet corner with ample private parking for guests. 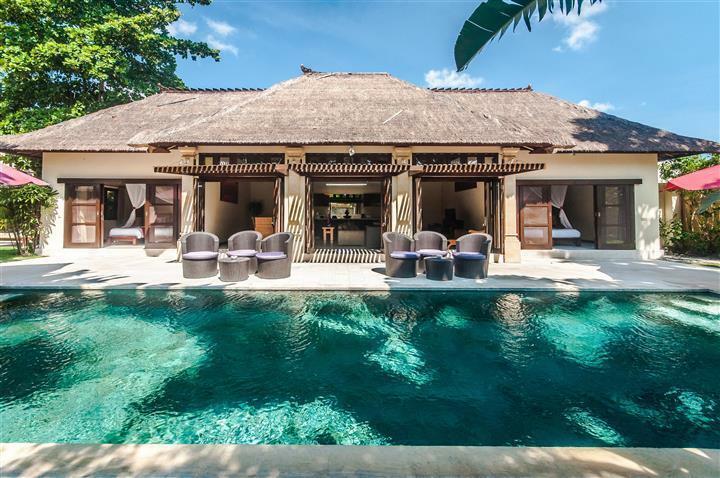 This stunning private villa was conceived and built by longtime residents of Bali using years of design experience to create this magazine featured home. 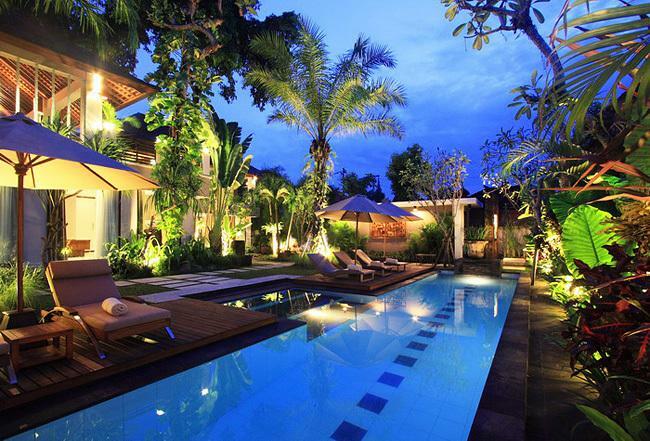 Villa 3225 is a perfect choice for either a relaxing or active Bali holiday..
Three large bedrooms are found on the ground level and all look out onto the gardens which surround the villa on all sides. 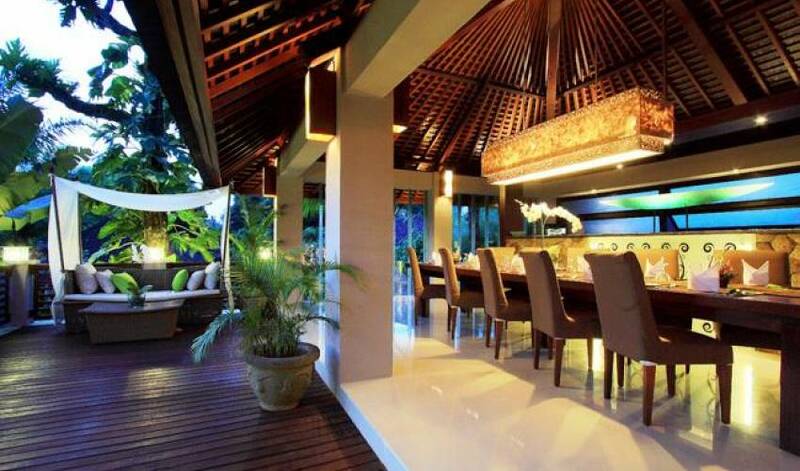 Views of the pool filter through floor to ceiling glass windows ensuring a full appreciation of nature. 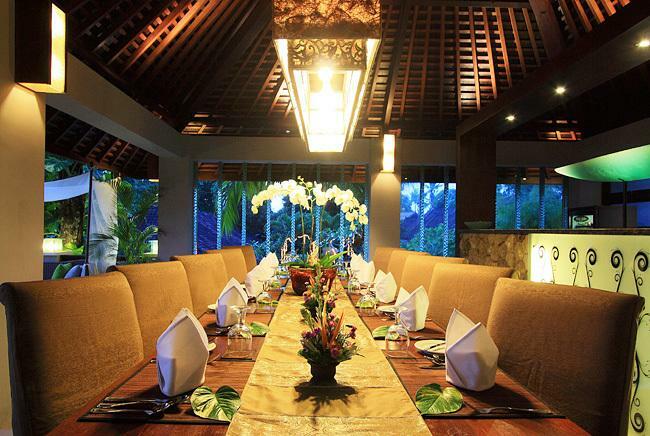 Tastefully decorated with comfortable beds, side tables, soft lighting and relaxing art this villa of distinction will surely become your loved retreat from the world. All rooms with attached bathrooms and quality fittings. 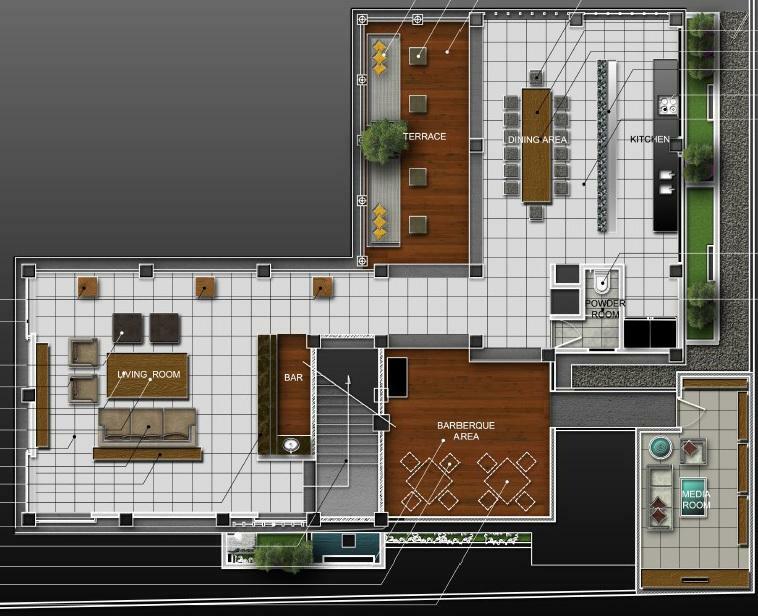 The fourth room on the ground level houses the gym to ensure occupants keep fit and well. 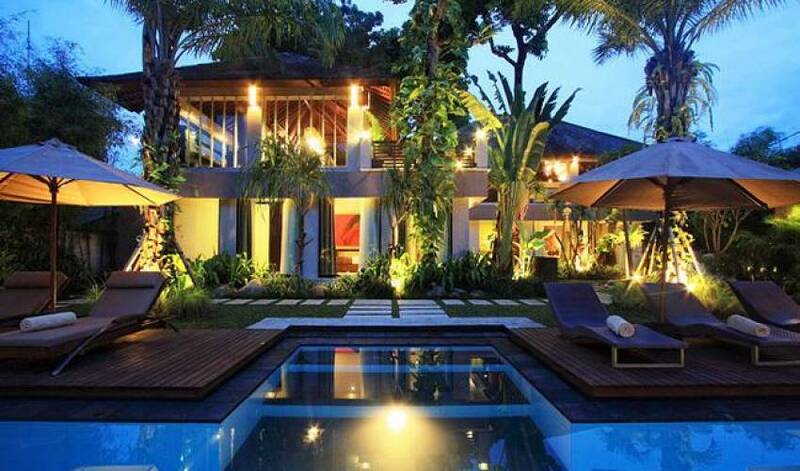 Staff quarters for 2 and a service space in the garden complete this villa. A large inviting sofa crowded with soft cushions and large coffee table in the open sided upstairs living area sits adjacent to a modern designer glass sided bar, perfect for relaxing with friends and or entertaining. 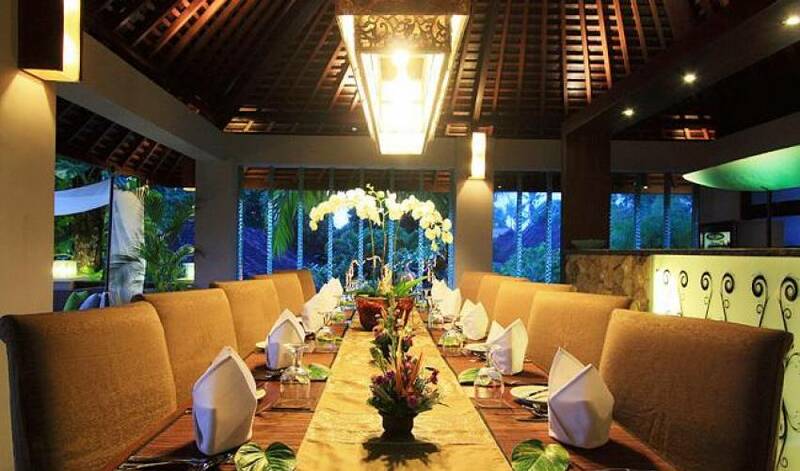 The dining area & table next to the open kitchen seats 16 and is ideal for large dinners in tropical elegance. The industrial open style stainless kitchen is every chef's dream. 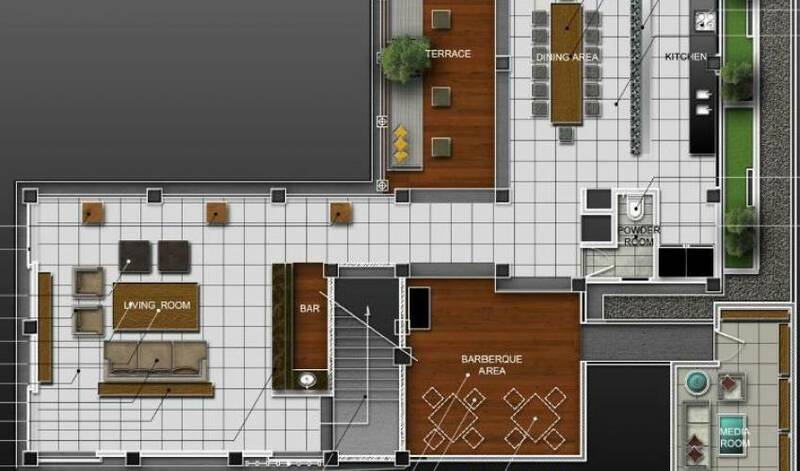 Choose a second dining location under sun or stars in the adjacent BBQ and outdoor dining area. Relax in the comfort of the entertainment lounge to watch movies. Listen to music or just enjoy the comfort of soft sofas and cool air conditioning all designed in the modern practical style that 3225 is defined by. 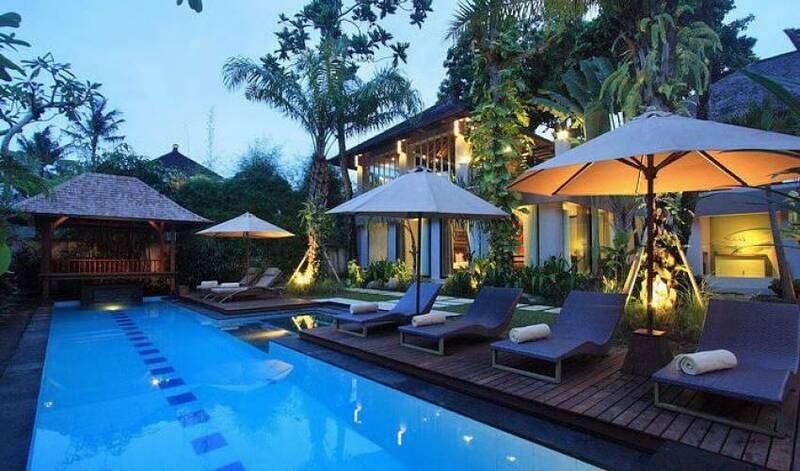 * Swimming Pool * Sun Bathing Chairs.